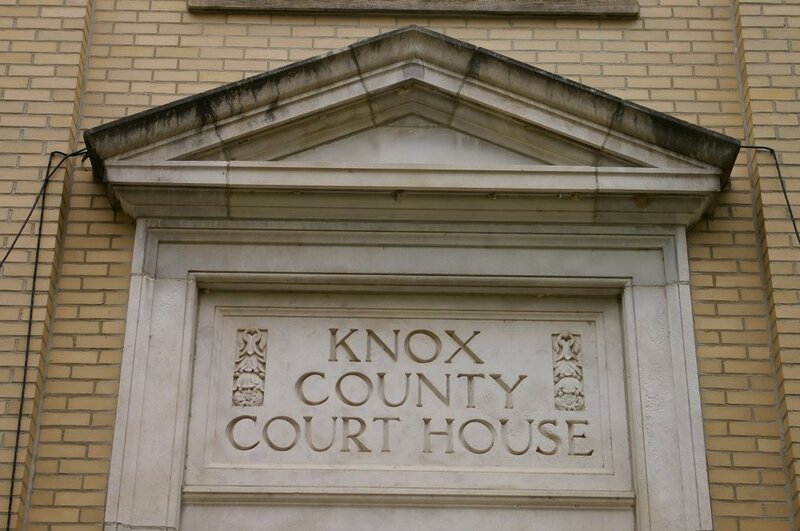 Knox County is named for Henry Knox, who was the chief artillery officer of the Continental Army and later the first Secretary of War for the United States of America. Contractor: J E Williams of St. Louis. 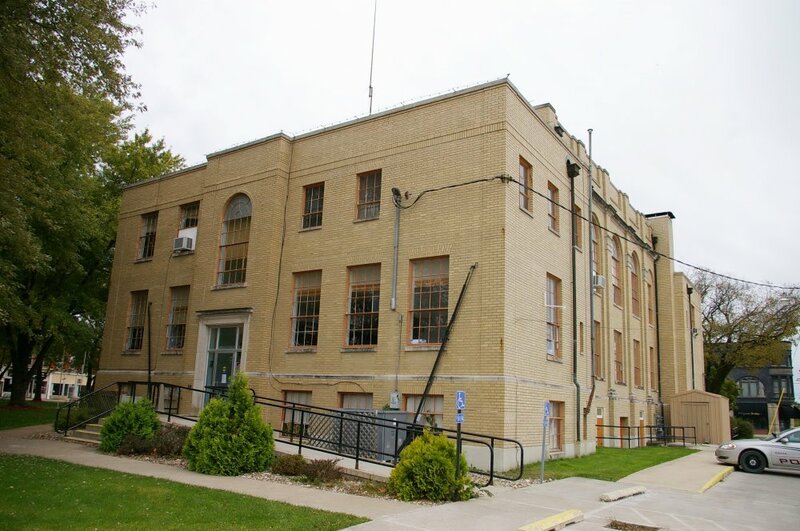 Description: The building faces south and is a two story buff colored brick and stone structure. 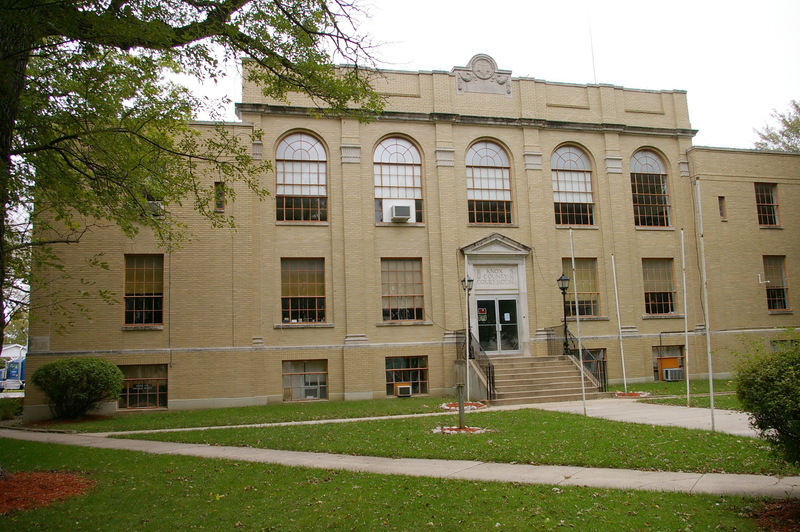 The south front has a central entrance framed with stone with a small pediment above. 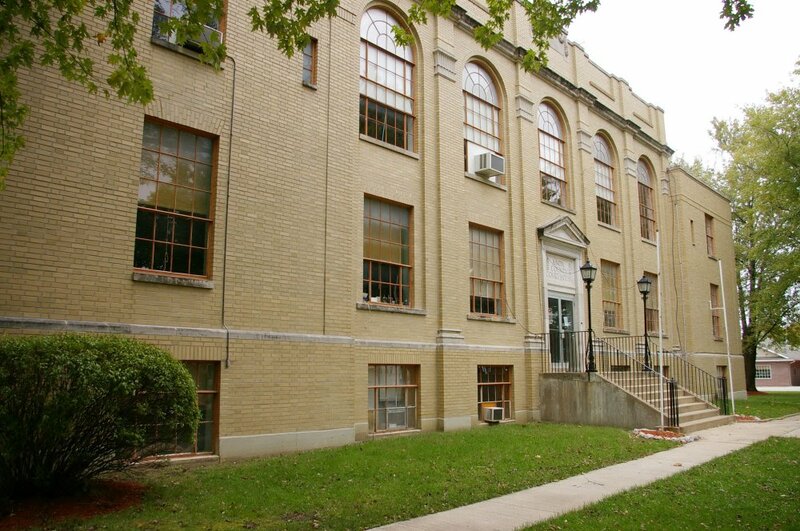 The windows on the second story are arched. The east and west wings are lower than the main center building. The roof line of the building is flat. On each of the four sides are clocks above the roof line. The building was a Works Project Administration project. 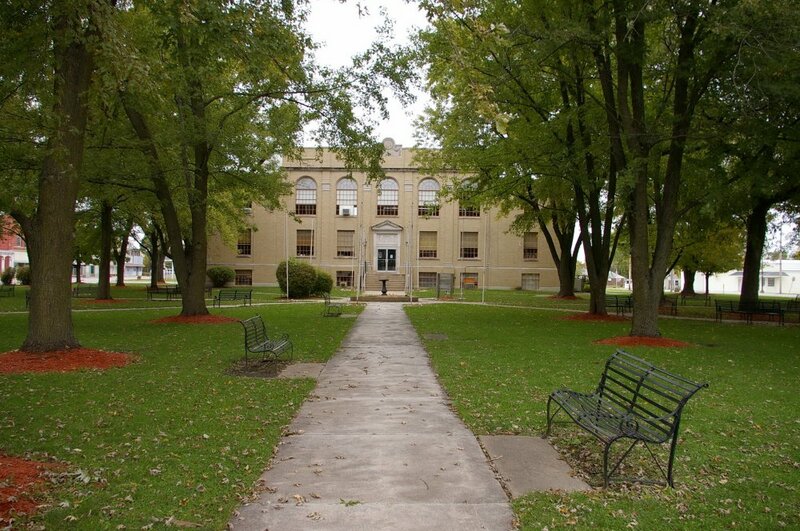 Note: The first courthouse was designed by Martin Baker, Jr. and built by James W Baker in 1848 at a cost of $1,650. The building was destroyed by fire in 1885 and no courthouse was constructed until 1934. 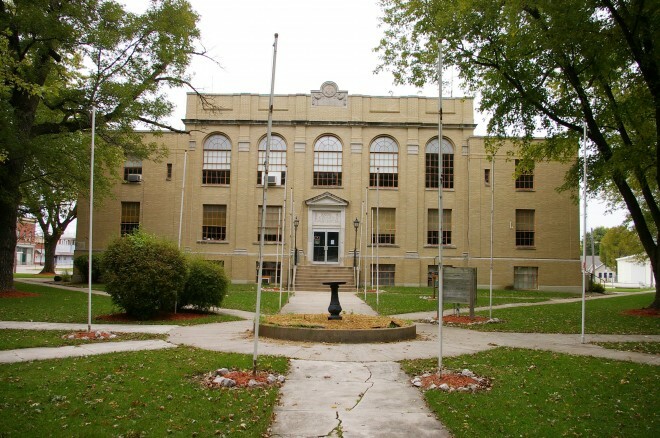 The cost of construction of the present courthouse was $61,882.